Skitter the Lizard, Pibbin’s friend, has been jailed by the rabbits. He is sure that she didn’t take their necklace, but the rabbits demand proof! When they suspect that Skitter’s cousin is the thief, Pibbin, Leeper, and Nisk set off to track her down. The trail leads them toward Shadow Swamp and into a strange land of super-sized creatures. They’re far from Friendship Bog, and Pibbin is hoping they won’t run into the monster of Shadow Swamp. But they do. Ages 7 and up. Book 4 in TALES OF FRIENDSHIP BOG. 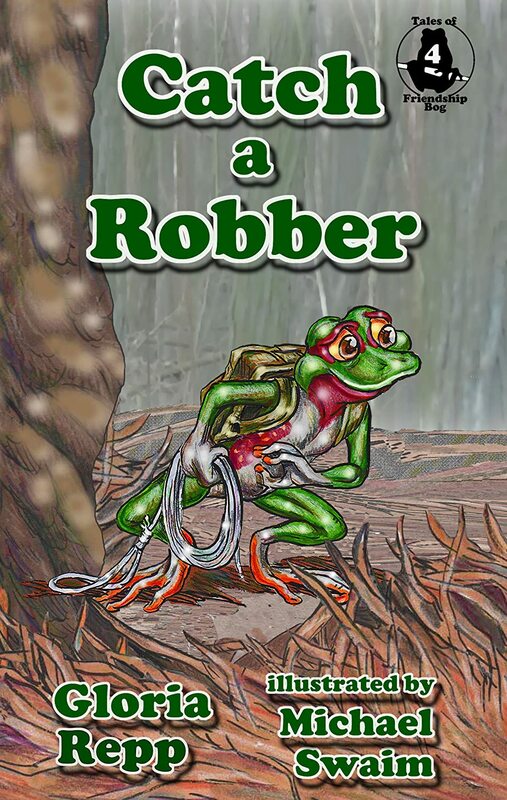 EBook has full-color illustrations, map, and color photos of frogs.